Explore hidden gems such as The Zebrnjak Monument and Church St. George. Venture out of the city with trips to Kratovo (Clock Tower & Stone town of Kuklica) and Saint Joachim Osogovski (in Kriva Palanka). To find ratings, where to stay, more things to do, and more tourist information, go to the Staro Nagorichane trip itinerary maker . If you are flying in from Bulgaria, the closest major airport is Skopje Alexander the Great Airport. 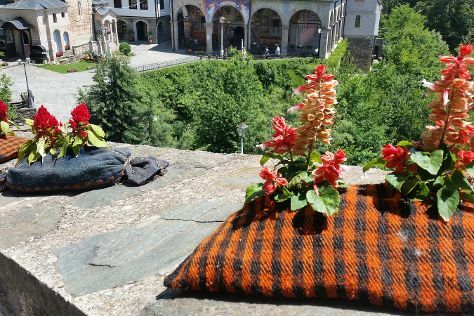 In April in Staro Nagorichane, expect temperatures between 22°C during the day and 5°C at night. You'll set off for home on the 4th (Thu).